GRETNA, LA (WVUE) - It was an emotional day inside the Jefferson Parish courthouse where a judge heard testimony in the Jermaine Neveaux case. Neveaux is the 19-year-old accused of killing deputy David Michel, Jr. to death. Investigators say Neveaux shot Michel three times, twice in the back after a traffic stop on Manhattan Boulevard. Jefferson Parish Sheriff Newell Normand called it a "cold-blooded murder." Michel's family had to be escorted out of the court in tears. Neveaux was arrested behind a house in Harvey. 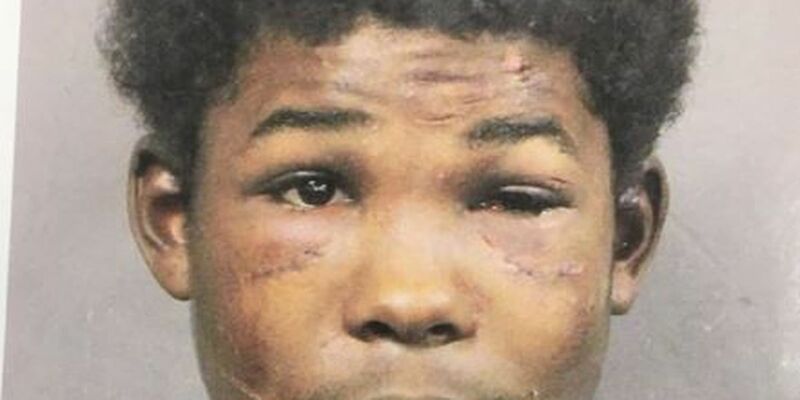 Neveaux's attorney questioned two Jefferson parish sergeants on the stand today about the arrest and called it a beating that left his client extremely injured. One sergeant that testified today said Neveaux was hiding in the back of a Harvey home and when he was found by an officer he immediately began resisting arrest and fighting. He testified a five-shot revolver was found on Neveaux at the time of the arrest. The judge found probable cause for the arrest, but attorney Martin Regan filed a motion to get his client additional medical attention for injuries sustained during the arrest that he says is not being provided to Neveaux. "He continues to have internal bleeding. He's continued to be told by the staff at the medical center that he's got internal bleeding that can only be corrected by surgery and we're trying to get him there," Regan said. "We've also provided the names of three physicians. We've got a surgeon and we've got a general practitioner and we've got another physician that deals with trauma in an emergency room. They're perfect for this." Neveaux is being held in jail on charges of first-degree murder, aggravated assault, and resisting arrest. His next court appearance will be Friday.